​Sharing this vision with others, will empower and enable us to do and earn more. we impact hunger and create abundance. Are you passionate about providing food to your local food pantry or shelter? Is it your dream to be a part of a movement to impact hunger and feed undernourished children, families, and veterans? Are you concerned with the quality of food distributed through these organizations? Do you have a business or organization that would like to raise money by feeding people? Do you feel you are not in the position to give financially? 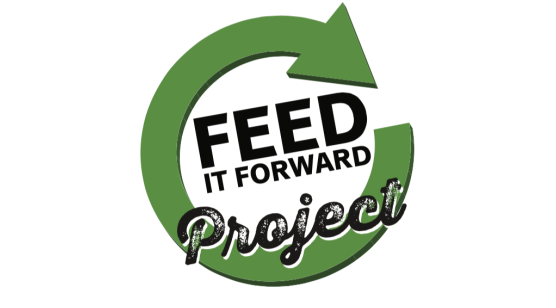 We at PROJECT FEED IT FORWARD have the solution! We partner with Isagenix, one of the fastest growing health and wellness companies globally. Their mission is to free people from physical and financial pain. Isagenix provides us with the perfect meal replacement bar, Isagenix distributes (if you chose to take advantage of this feature) the product to anywhere in the U.S and 18 additional countries, and Isagenix compensates us for our efforts with bonuses and residual income. View the compensation (Tools Page, For Building section). As we build communities of people with the same passion and purpose, we feed more people. The more people joining our movement, the more compensation we receive from Isagenix. And as our compensation grows, so do our finances and our ability to give even more. ​This is a tax deductible expense. Please note that upon delivery you will want to gather receipts for your donated products for tax purposes.